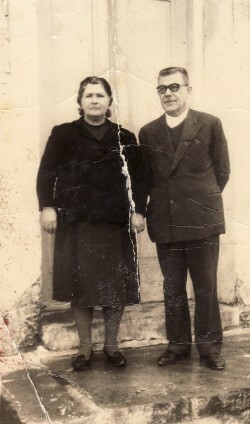 Above: My parents, Asanoula and Andonios. 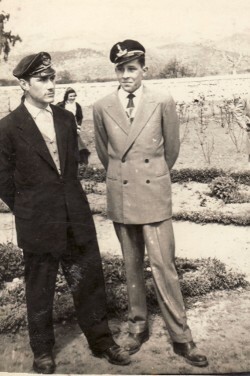 Above Riight: As high school students, with Athanasios Galinos. Above: Inside my father's kafeneio. 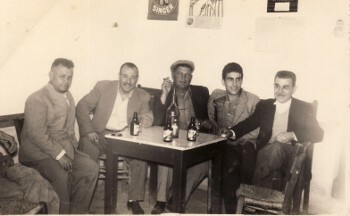 L-R: Themistoklis Taktikos, Simeon Prasatakis, Panagiotis Hatzievlogimenos, my brother, Ignatios, and my father, Andonios. Above: Outiside my fahter's kafeneio. 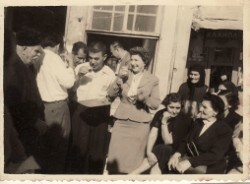 L-R: Grigorios Mantzouranis (old man), my father, Andonios, Anna Kridera, Sappho Athanasopoulou, and his aunts, Ourania (standing) and Marianthi. 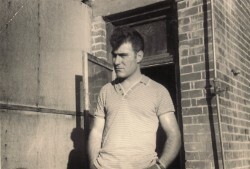 Above Right: Holbrook, NSW. At the rear of the Australia Cafe.